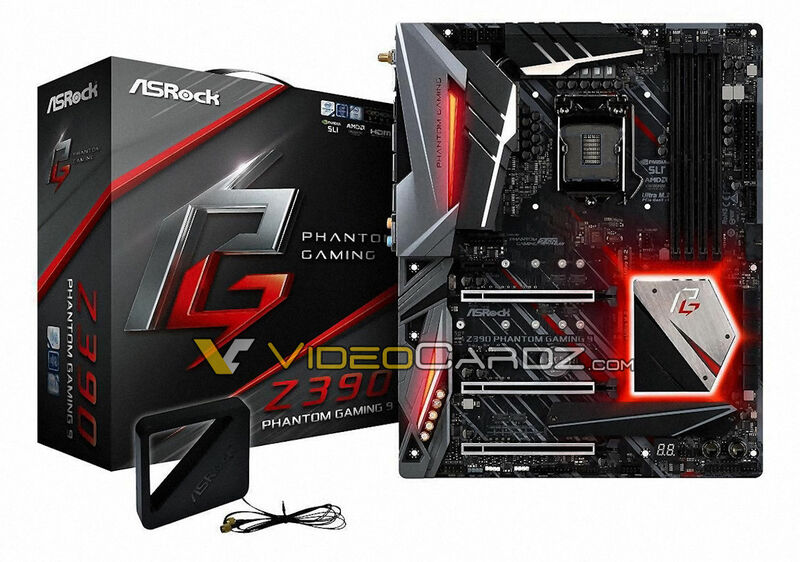 ASRock is set to launch new Phantom Gaming motherboard series. The motherboard we are sharing today is a model called Z390 Phantom Gaming 9. This is the top tier SKU with all the bells and whistles you would expect from a premium board. Starting with onboard WiFi, three reinforced PCIe x16 slots, three M.2 interfaces and three Ethernet connections (one being 10Gb). ASRock will also launch Z390 Extreme4, Z390 Pro4, Z390 Phantom Gaming 4, Z390 Phantom Gaming SLI/ac, Z390 Phantom Gaming-ITX/ac and Z390 Taichi (and few other variants).